The past seven days have been a long time in the world of 5G. Six years ago, UK businesses and consumers could not subscribe to a single 4G service. Yet the conversation had already shifted to spectrum availability, research projects and testbeds for 5G networks. It’s typical of the telecoms and IT industries to turn its attention to the next generation of a technology before the existing iteration has achieved mainstream adoption, but with something like mobile networks there is no time to waste. The intervening years have seen stakeholders make huge progress in 5G development and it is expected the first services will go live in 2018. It’s been a long process so the sheer number of developments in the past week or so is remarkable. The accelerated pace not only indicates that 5G is in fact almost a reality but also serves to illustrate several key trends. A report from IHS Markit earlier this week suggested that North America had a clear advantage in the race for 5G leadership, with the US expected to be the location of the world’s first commercial network later this year. This will initially be limited to Fixed Wireless Access (FWA) broadband, with mobile services going live the following year, once the first compatible smartphones are available (more on that later). Analysts expect Asian networks to follow suit in 2019 but intriguingly also predicted that European operators would not launch until “2021 or later”. With major UK operators expecting to launch by late 2020 at the latest – this could mean Britain is ahead of the curve. It has been generally accepted within the industry that the first 5G smartphones won’t arrive until 2019, but two stories this week have all but confirmed it. Firstly, LG and Verizon (which will be the first to launch 5G later this year) revealed plans to deliver the first handset the opening half of 2019. No details about the device have been made public, but it’s the most concrete development to date. Secondly, Qualcomm has said it does not expect any 5G smartphones to be released this year. Given its processors and modems power the vast majority of flagship devices, the company is speaking from a position of authority on the matter. Operators have all but abandoned attempts to further monetise their 4G infrastructure beyond subscription revenue, instead focusing on speed and capacity upgrades, network coverage and reducing the cost-per-bit. However, 5G promises the ability to offer to be more than ‘dumb pipes’ by offering new services to consumers and business customers. Network slicing is seen as one of the main ways of achieving this and allows operators to offer ‘virtual networks’ for specific applications. For example, one network slice could carry video traffic at a stadium, while another is reserved for safety officials. ABI Research predicts this could be worth £51 billion to mobile operators. Not that greater efficiency isn’t a driver either. More efficient network technology means the cost-per-bit will also come down – a benefit cited by 71 percent of operators to IHS Markit. The opportunity for network equipment manufacturers with 5G is obvious, but the past few days have helped provide some clarity. 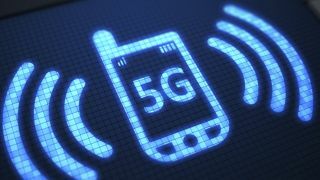 Samsung, Ericsson and Nokia have all made significant investments in 5G in the hope that it will offset falling sales as 4G deployments mature, while Cisco also has plans in the work. But there is a revenue opportunity in royalties too as Nokia said it expects to make €3 for every 5G smartphone sold. The figure is not only evidence that the Finnish giant believes it will make significant gains from its technology, but also shows a willingness not to be bogged down in disputes over licensing. As we’ve seen, the race to 5G has been a global one, with governments as keen as technology companies to encourage rollout. This is a reflection of the wider economic and societal benefits that 5G will bring. The Australian government said as much during a lengthy statement explaining why Huawei and ZTE will be banned from supplying 5G kit to Australian telcos on security grounds. This is despite Huawei being a supplier to several already. It’s not an uncommon position. Broadcom’s takeover bid for Qualcomm was blocked earlier this year by the US government because it feared the former’s lack of reputation for R&D would allow Huawei to take a more prominent leadership role.